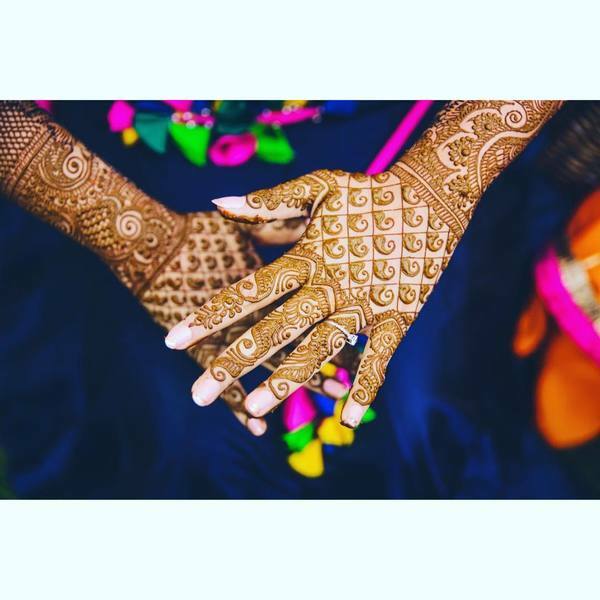 From Minimalist To OTT, The Best Mehendi Designs We Spotted On Brides! Mehendi is to weddings what flowers are to anniversaries. They HAVE to be there for the beauty that they spread and the feeling of love that they bring. 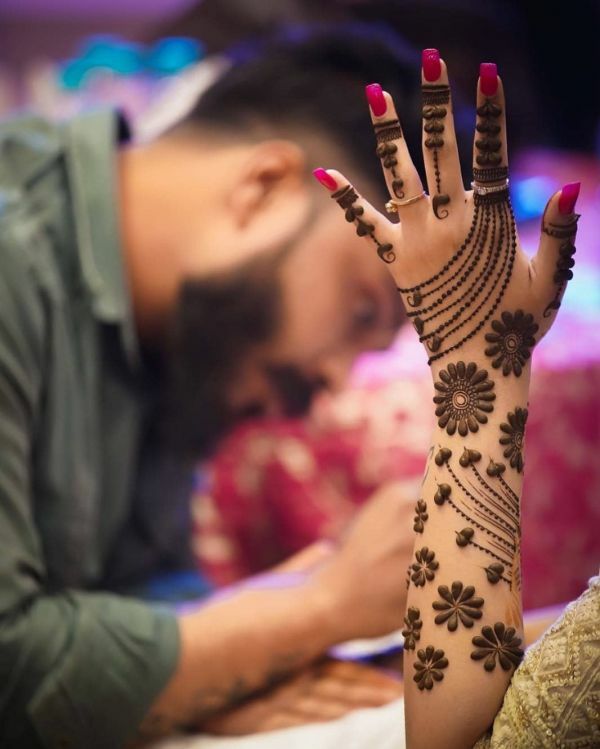 The smell of henna at a shaadi wala ghar is a gentle reminder that love is in the air. 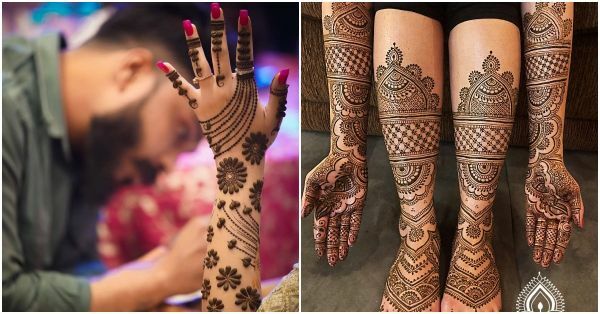 If you are about to get married and are looking for some inspiration, these incredible mehendi designs of 2018 are all that you need. We love how carefully the designer has used spaces in just the right places to bring about the beauty of this design. Not too simple, not too ostentatious; just PERFECT in every sense. 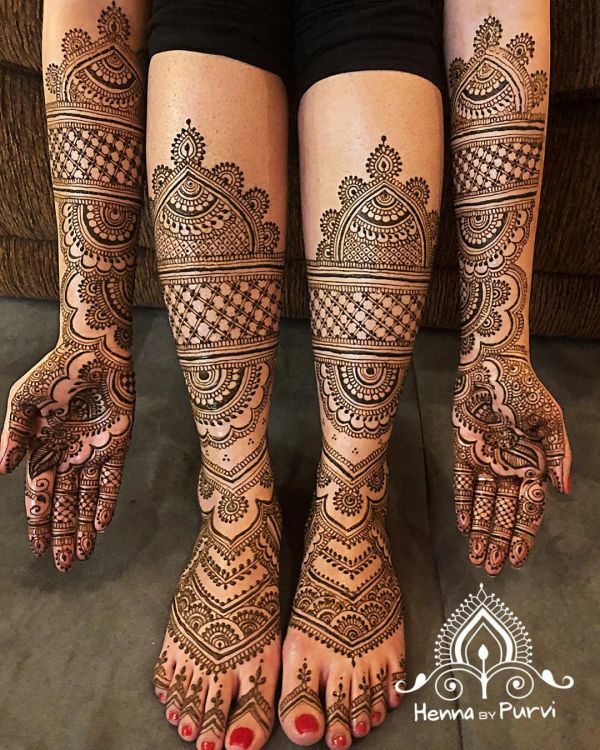 If I were asked to pick my favourite mehendi design on this list, it is definitely going to be this minimalist pattern. The beauty of this design lies in its neatness. Also, it's a lot more fun and statement than the regular traditional patterns. 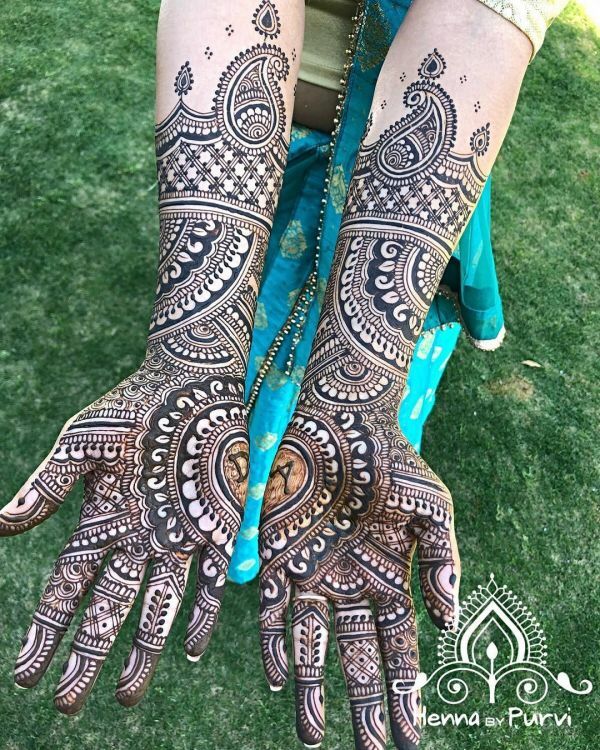 This unique and grand design is for every bride who wants to get that extra attention to their hands. And why not, nothing is extra when you are the bride. If there is one mehendi design that can teach us about balance, this is it. Everything from the aesthetics to the intricate detailing makes this design as beautiful as the bride that you will be. Whether it is the lehenga, the jewellery or the mehendi design, we love everything floral on brides. It is stunning how the small flowers have been weaved together to create a beauty like this. The traditional kolka pattern is a classic mehendi design that no bride can say no to. Also, do you notice how the absence of the dark tips on fingers is making this design all the more gorgeous? Getting married in 2019? Bookmark this now!